Chemical weapons attacks by the Assad regime in Syria have amplified calls for military intervention there. Before that happens, proponents of war in Syria need to answer some key questions. Recent news reports that the regime of Syrian president Bashar Assad used chemical weapons against its own people have amplified calls for the United States to intervene militarily. The images of victims of the chemical attack, which shock the conscience and grieve the soul, all but cry out for a response. The Russian government claims, quite implausibly, that the attacks were either launched by rebels who oppose Assad or as a false flag effort to make Assad look guilty. Following news of the attacks, U.S. Ambassador to the United Nations Nikki Haley excoriated Russia for “blocking a robust response to the attack,” according to the New York Times. Diplomats from numerous other countries also weighed in to condemn the attacks as well as Russia’s response to them. Cotton breaks with Trump, says U.S. should work to force Assad to go. To avoid what happened in Iraq — a swift initial military victory followed by costly guerrilla warfare, political instability, premature U.S. withdrawal, and eventual political defeat leading to a less stable and more dangerous situation than before we invaded — I desperately want solid, well-researched answers to the following questions about our ultimate goals in Syria, how we as a nation plan to achieve them, and what costs we are ultimately willing to bear. Unfortunately, I don’t have the answers. And I don’t intend for these questions to be perceived as unfair or leading in any way. I’m not attempting to make a statement or promote a point of view in asking them. If our nation is going to wage war, and if we are going to pay a price in dollars and in American lives as a result of that decision, we are owed answers to questions that were never adequately answered before we went into Iraq. We owe it to the American men and women whose blood was shed in Iraq, and their families, to not repeat the same mistakes we made there in Syria. We owe it to the men and women who would be deployed overseas to have a clear understanding of our political goals in Syria, what military resources will be required to achieve them, and what risks we face, both militarily and politically, as a result of approving military action to remove Assad. Here are 14 questions that proponents of war in Syria must answer before anyone considers whether military intervention to remove Assad is the best course of action for the American people. 1) What national security interest, rather than pure humanitarian interest, is served by the use of American military power to depose Assad’s regime? 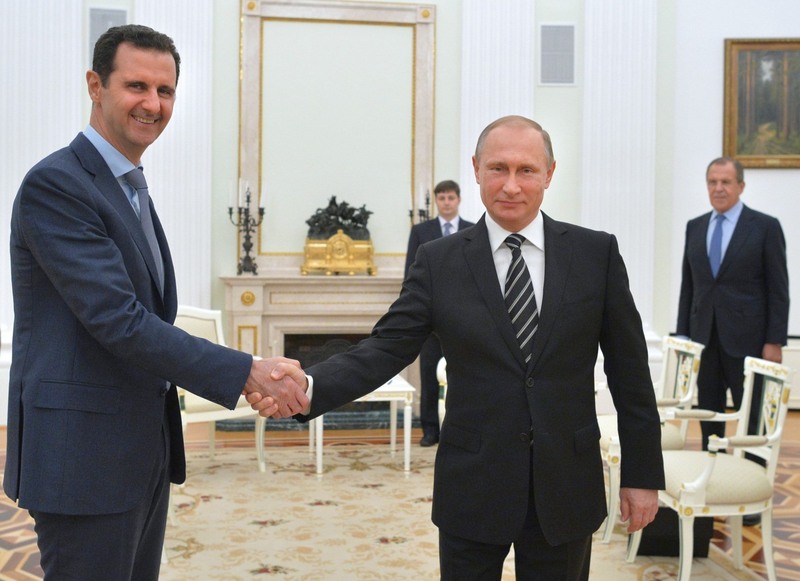 2) How will deposing Assad make America safer? 3) What does final political victory in Syria look like (be specific), and how long will it take for that political victory to be achieved? Do you consider victory to be destabilization of Assad, the removal of Assad, the creation of a stable government that can protect itself and its people without additional assistance from the United States, etc.? 4) What military resources (e.g., ground troops), diplomatic resources, and financial resources will be required to achieve this political victory? 5) How long will it take to achieve political victory? 6) What costs, in terms of lives (both military and civilian), dollars, and forgone options elsewhere as a result of resource deployment in Syria, will be required to achieve political victory? 7) What other countries will join the United States in deposing Assad, in terms of military, monetary, or diplomatic resources? 8) Should explicit congressional authorization for the use of military force in Syria be required, or should the president take action without congressional approval? 9) What is the risk of wider conflict with Russia, given that nation’s presence and stake in Syria, if the United States chooses to invade and depose Assad, a key Russian ally in the Middle East? 10) If U.S. intervention in Syria does spark a larger war with Russia, what does political victory in that scenario look like, and what costs will it entail? 11) Given that Assad has already demonstrated a willingness to use chemical weapons, how should the United States respond if the Assad regime deploys chemical, biological, or nuclear weapons against the United States? 12) Assuming the Assad regime is successfully removed from power, what type of government structure will be used to replace Assad, who will select that government, and how will that government establish and maintain stability going forward? 13) Given that a change in political power in the United States radically altered the American position in Iraq in 2009, how will you mitigate or address the risk of a similar political dynamic upending your preferred strategy in Syria, either in 2018, 2020, or beyond? 14) What lessons did you learn from America’s failure to achieve and maintain political victory following the removal of governments in Iraq and Libya, and how will you apply those lessons to a potential war in Syria? The worst thing for American safety and security would be a repeat of the political debacles in Iraq and Libya. Before taking military action in Syria, it is paramount that American policymakers have not only considered, but have forthrightly answered the serious questions about war in Syria that were never adequately considered or answered prior to recent U.S. intervention elsewhere in the Middle East.